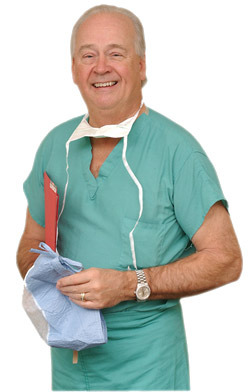 Adrian Peterson, Drew Brees and Robert Griffin III begin the 2013 NFL season this month, thanks in large part to Dr. James Andrews, orthopedic surgeon and injury consultant to a roster of clients that reads like a multisport hall-of-fame ballot. He's also team physician for both the University of Alabama and Auburn University. But nothing sharpens Andrews' focus more than youth sports injuries, which constitute 40 percent of his practice these days compared to 15 percent a decade ago. A board member of Little League International, Andrews leveraged research conducted by his American Sports Medicine Institute into pitch-count rules that he says are reducing the number of teens requiring Tommy John surgery. Earlier this year, he released Any Given Monday: Sports Injuries and How to Prevent Them for Athletes, Parents, and Coaches - Based on My Life in Sports Medicine, with all proceeds supporting his three-year-old STOP initiative. Paul Steinbach asked Andrews to describe his vast injury-prevention operation. Q: Why, after 40 years in sports medicine, did you write a book now? A: My real passion over the past 10 years or so has been prevention of injuries in youth sports. I started noticing around the year 2000 that my examining rooms were being filled up with young kids — 13, 14, 15, 16 years of age — with what I call adult sports injuries. So I got interested in trying to figure out what's going on with our young men and young women in youth sports. The real purpose of that book was to try to reach parents and particularly grandparents, to try to get their interest in prevention and to help them really understand the risk of their kids playing certain sports and playing year-round sports, because I knew from my clinical experience that parents had no clue that their kids had any real risk. They'd get hurt, and all of a sudden it's, "Well, I didn't know they'd get hurt playing that sport" or "I didn't know that playing year-round baseball would create a problem with their elbow or their shoulder." A: I'm a grandparent now, and I can tell you I wasn't nearly as worried about my kids. I had six of them — four girls and two boys — who all played sports, and my last three girls were all cheerleaders, and they all got hurt. We didn't really realize the risk, even though I was a sports medicine doctor. I had to operate on one of my daughters who tore both of her ACLs cheerleading in high school. Young parents just don't have enough experience to be that worried about what their kids are doing. But I know from my own experience, I'm a lot more protective of my grandkids and what they're doing in every walk of their lives than I was with my kids. And grandparents seem to have more common sense as they get older, and maybe they can have some influence on their own kids as parents. Q: STOP stands for Sports Trauma and Overuse Prevention, so why have you made overuse injuries such a primary focus? A: The good thing about overuse injuries, which are so common in youth baseball and other overhead throwing sports, is that about 60 percent of those are preventable by just common sense, if you can just try to keep kids from overworking. Two causes of overuse injuries are specialization, which is playing one sport year-round with no recovery time, and professionalism, where they take young kids whose bodies are developing, train them like they're professional athletes, like more is better, and end up over-training them. Tennis offers one example of professionalism where kids are in these tennis academies when they're six years old, and then they get hurt before they get to be real athletes. Q: Isn't specialization important to ascending through the ranks of a given sport? A: Nowadays, there is some need for specialization to go to college, but we recommend you don't specialize in a sport until you're a senior in high school. That's what a number of our professional athletes who have been very successful have followed. That's what Heisman Trophy winner Sam Bradford did. He was a quarterback at Oklahoma and plays for the Rams now. He didn't specialize in football until his senior year in high school. Q: Your book recommends that kids take three months off from a given sport per year. How did you decide on that time frame? A: Three or four months is what we recommend, but they need at least two. Fatigue can take the form of event fatigue, which might mean too many pitches in a baseball game; it could mean seasonal fatigue, too many innings in a season; or it could be year-round fatigue, which means year-round baseball. Our research program at ASMI showed that a kid participating in youth baseball with fatigue in any of those three categories is 36 times more likely to injure his throwing shoulder or throwing elbow or both. If that doesn't get the parents' and grandparents' and coaches' attention, nothing will. Q: Are coaches getting the message about overuse? A: They don't like it. They say, "Well, I can tell when my kids are fatigued." We had a daddy in here this summer who was a football coach for a high school team. His son was playing baseball, and the baseball coach started him pitching in the playoffs three games, three nights in a row. The daddy said, "I couldn't say anything. I knew it was wrong." The kid tore the ligament in his elbow, and his daddy's got him down here having surgery. His daddy felt terrible about it, and he's a coach — a football coach. The kid wanted to play, it was his senior year, whatever. The thing I don't want to happen is for this to get into the legal system and then coaches are getting sued because of the things they do. The coaches have to learn there's liability. Q: How receptive are sports administrators? A: In some recent research papers, we have been able to show a decline in the number of youth sports injuries. Most of our work has been in youth baseball. We've shown through Little League that we've absolutely decreased the number of injuries to the throwing shoulder and elbow with our strict pitch-count rules at different ages. A lot of the other youth leagues have followed suit with that, and now we've got high school athletic associations falling in line, too. Q: Are you ever accused of being anti-sports? A: We believe in sports, but the theme with our prevention programs is to keep kids out of the operating room and on the playing field. One of the problems out there is that parents and the general public think, "Oh, we can go to the sports doctor and he can fix this." Well, we try to fix things, but if you get injured and get operated on when you're a young kid, you're never as good as you were before you got injured. We're not that good. So prevention is the thing. Q: Does your track record with high-profile professional athletes actually hinder your prevention message? A: If you pick the right patients to operate on, they'll make you look very good as a sports medicine doctor. They have a genetic ability that allows them to get back, whereas the average athlete can't compete with that recovery. They think they can, but they don't have that ability to recover like these elite athletes do — like RG3, Adrian Peterson or Drew Brees, for example. Those guys have an unbelievable ability to recover from injury because of their genetics. The doctor can't take credit for that, and patients can't try to put themselves in the same position.